This beautiful classic single noseband English bridle set features a dark brown finish that is perfect for dressage or jumping. Complete with leather braided reins. Now on sale for only $29.99 for a limited time today! Was $79.99 Now $29.99 For A Limited Time Only! 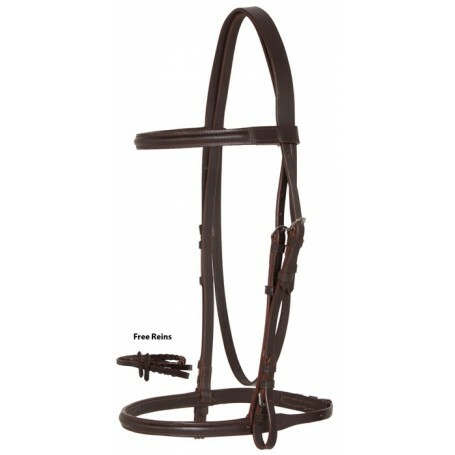 This beautiful dark brown English bridle will be perfect for all of your all-purpose riding needs. 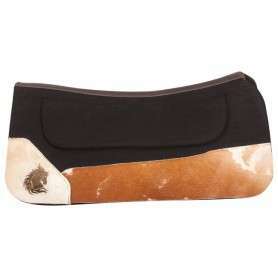 The set is made from natural cowhide leather and includes brown braided leather reins. 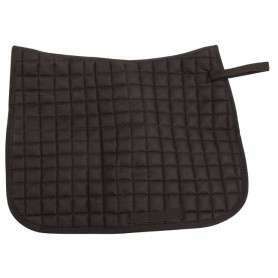 The beautiful dark brown oil finish is perfect for everyday schooling or in the show ring for dressage to jumping. Horse bit NOT included.